In the remainder of the bio, he goes on to discuss his involvement with the Socialist party while McCarthyism ensnared the nation, and how he became disillusioned by the often-fabricated and influenced stories mainstream newspapers were publishing. Stone said he was not angered by the lack of dissent in these newspapers, rather the lack of valuable news. Most newspapers at the time were comprised of mostly advertisements, and very little actual content; news stories simply filled the space where advertisements were absent. 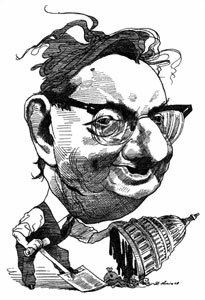 Stone, influenced by the likes of independent journalists like George Seldes, set a precedent for future independent journalists to be influenced by no one both themselves. Because of Stone’s writings, outlets like Democracy Now!, Truthout, Talking Points Memo, and countless other independent outlets exist to provide the unbiased, unswayed news readers should be able to expect from the reigning media titans today. It’s incredible how much — and how very little — has changed since then.